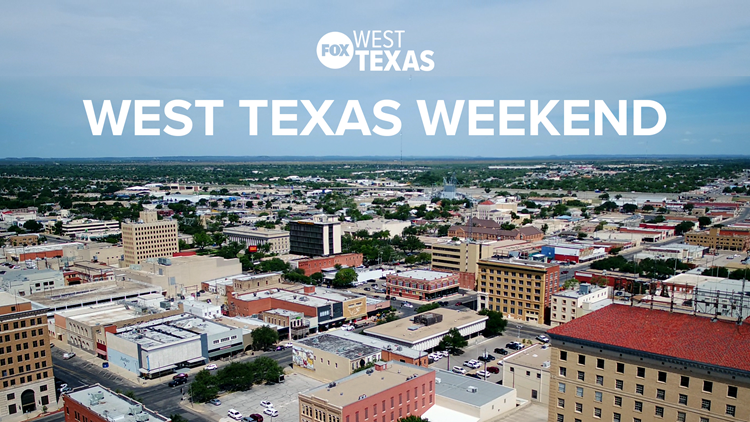 SAN ANGELO, Texas — You've heard people say, "There's nothing to do in San Angelo." Here's a list of things going on in San Angelo to give you something to do with friends and family. Noon - Petticoats on the Prairie Vintage Market, Foster Communications Coliseum, 50 E. 43rd St.
4 p.m. - St. Margaret of Scotland Catholic Church annual Lenten fish fry, 2619 Era St.
6 p.m. - 23rd National Ceramic Invitational Exhibition opening reception, San Angelo Museum of Fine Arts, 1 Love St.
6 p.m. - Chicken Farm Potters: Past and Present, Coop Gallery, 1 Love St.
6 p.m. - Ambleside School of San Angelo's Art Spring Fiesta, 511 W. Harris Ave.
6 p.m. - Kids Night Out, YMCA San Angelo, 353 S. Randolph St.
7:30 p.m. - "Godspell", Be Theatre, 82 Gillis St.
8 p.m. - Bri Bagwell, Blaine's Pub, 10 W. Harris Ave.
9 p.m. - Jamie Richards with Keeper of the Plains, Whiskey River Saloon, 125 E. Concho Ave.
9 p.m. - Boo Ray, The Penny Live, 4205 S. Bryant Blvd. 7:30 a.m. - Spring Fair Day, Palmer Feed & Supply, 1318 N. Chadbourne St.
9 a.m. - Petticoats on the Prairie Vintage Market, Foster Communications Coliseum, 50 E. 43rd St.
9 a.m. - San Angelo Independent School District job fair, 655 Caddo St.
10 a.m. - Family Day Art & Science, San Angelo Museum of Fine Arts, 1 Love St.
10 a.m. - YMCA Kids Triathlon, YMCA San Angelo, 353 S. Randolph St.
10 a.m. - April Sip n Shop, San Angelo VFW, 125 S. Browning St.
10 a.m. - Junior League of San Angelo's Touch-a-Truck, San Angelo Stadium, 1621 University Ave.
2 p.m. - San Antonio vs. San Angelo hockey double-header, Kirby Park, 1405 Edmund Blvd. 2 p.m. - Inaugural Crawfish Boil, The Casual Pint, 15 E. Concho Ave.
7:30 p.m. - San Angelo Cowboy Church's "Buck Wild", 1st Community Credit Union Spur Arena, 200 E. 43rd St.
8 p.m. - Pour Sum 4 Texas Bash, El Club Patron, 1616 S. Chadbourne St.
8 p.m. - Los Palaminos, Koronazz, 4611 S. Jackson St.
9 p.m. - Whiskey Mike, Whiskey River Saloon, 125 E. Concho Ave.
9 p.m. - The Gibbonses and James Cook, The House of FiFi DuBios, 123 S. Chadbourne St.
9 p.m. - Bob Simpson album release show, The Penny Tap House, 2412 College Hills Blvd. 9 p.m. - Miles Williams and Hammer Down, Concho Pearl Icehouse, 1615 S. Chadbourne St.
10 p.m. - The Schisms, The Deadhorse, 210 S. Chadbourne St.
2 p.m. - "Godspell", Be Theatre, 82 Gillis St.
5 p.m. - Organ recital with Maestro Hector Guzman, Emmanuel Episcopal Church, 3 S. Randolph St.
8 p.m. - Harlem River Noise, The Deadhorse, 210 S. Chadbourne St.